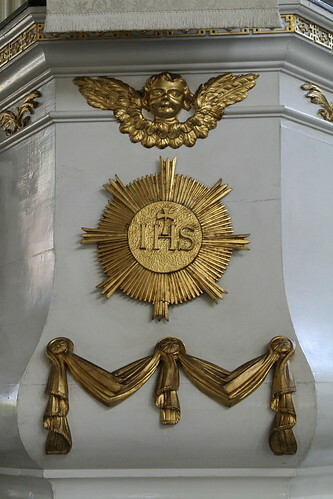 Closeup of detail of Christ Church pulpit. 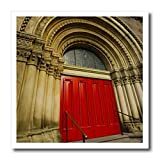 Church of the Holy Trinity Episcopal, Philadelphia – US39 ECL0003 – Ellen Clark Iron on Heat Transfer is a great way to jazz up a plain T-shirt, pillow case or any other light color fabric. The transfer is transparent and should be applied only to white or light colored material suitable to withstand high heat. Available in 6″, 8″ and 10″. Color not true until transferred; home iron instructions included. Wash inside out using mild detergent and dry on low heat. 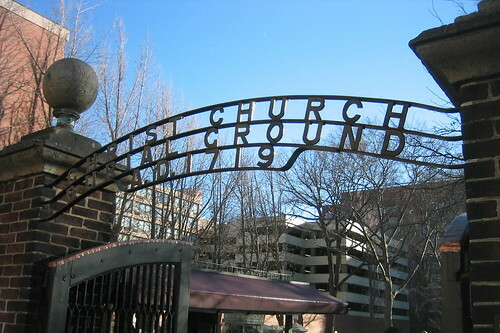 Christ Church is an Episcopal church located in Philadelphia, Pennsylvania. It was founded in 1695 by members of the Church of England, who built a small wooden church on the site by the next year. When the congregation outgrew this structure some twenty years later, they decided to erect a new church, the most sumptuous in the colonies. The main body of the church was constructed between 1727 and 1744, and the steeple was added in 1754, making it the tallest building in North America, at 60 meters. Christ Church is considered one of the nation’s most beautiful surviving 18th-century structures, a monument to colonial craftsmanship and a handsome example of Georgian architecture. It features a symmetrical, classical façade with arched windows and a simple yet elegant interior with fluted columns and wooden pews. The baptismal font in which William Penn was baptized is still in use at Christ Church; it was sent to Philadelphia in 1697 from All Hallows by the Tower in London. 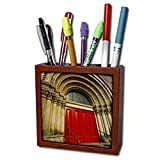 Church of the Holy Trinity Episcopal, Philadelphia – US39 ECL0003 – Ellen Clark Tile Pen Holder is great on a desk or counter top. Made of high quality solid wood with a satin finish. 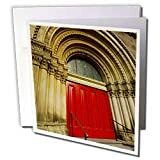 Image displayed on one inset high gloss 4.25″ x 4.25″ ceramic tile. Overall size is 5″ x 5″ x 1 2/3″ with 3- 1 1/3″ top holes. c. 1950’s Welcome to Christ Church in Philadelphia. The men who founded America were convinced that God creates men equal and means them to be free. They proclaimed this belief in the Declaration of Independence, established it by a Revolution, and protected it with a Constitution. Surely, these men were Divinely inspired and guided! 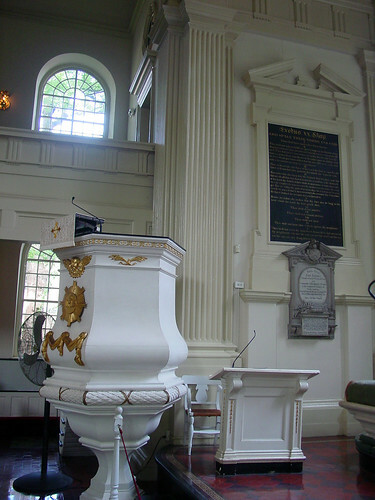 The members of the Continental Congress, who produced the Declaration of Independence, George Washington, who led the Revolution and became first President, the members of the Constitutional Convention — these all worshipped God in CHRIST CHURCH in Philadelphia. This Church reminds us that our nation is founded on religion — that freedom comes from God! All Americans — of every faith — should visit this Church and renew their common faith in God and their country. Come to Christ Church. Worship the God who creates us equal and means us to stay free.